Local Food Functional Nutrition. Integrative Wellness. Real lively food sourced close to home offers optimal nutrition and tender taste. Tam John, author of A Fresh Wellness Mindset and founder of the EatRight-LiveWell™ integrative and functional approach to smarter self care offer inspiration for your wellness wishes to come true. There are a multitude of ways to enjoy the wonderful nutritional benefit and tender deliciousness of real lively food sourced close to home. Sprout seeds; plant one thing like an herb in a sunny window sill; plant a pot of spinach on a porch or deck; an expansive container garden; or cultivate a bigger backyard garden plot. Start slow and find out what you like and works for your life. 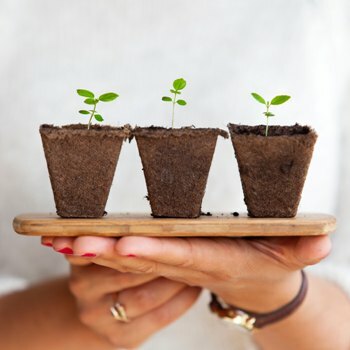 There are a multitude of classes from garden centers, community gardens, county extension offices and online resources to make learning how to optimize your space, however large or small, a place you can enjoy the splendor of planting a seed, watching it grow, and bloom into the plant it is meant to be for your enjoyment and nourishment. Children who learn to grow food become better eaters with skills to last a lifetime, as if you are planting seeds of health within them. "Community Supported Agriculture (CSA) is a means for farmers and consumers to share risk and reward of farming operations. The consumer pays an annual (or seasonal) fee to the CSA. This membership entitles the consumer to share the farm's bounty. Risk and reward is shared accordingly. If the farm has a bad season due to a weather event or other circumstances, the shareholder won't receive as much bounty. The shareholder either picks up produce or other goods weekly at the farm or a pickup location nearer the residential area of the shareholders is provided. " My love of growing and preserving heirloom veggies is something I have enjoyed for nearly a decade. In my restoration back to optimal health I believe veggie gardening nourished me to wellness in body, mind and spirit. On my five acre spread I've grown such a huge bounty of veggies that I used to take veggies with me on my business meetings and give them to my employees, clients and colleagues. It beat a stuffy marketing brochure every day! If you aren't a member of a CSA, you will likely see many of the same veggies and herbs at the farmer's markets and local produce sections of your grocery market. Be aware of what you are purchasing to make sure it meets your standards for how it was grown, with or without chemicals. Not all farmer’s market vendors are certified organic, but their methods may be organic. Be sure to read labels and ask about ingredients for baked goods, cheeses and other vendor produced foods. Just because it is at the farmer’s market does not mean it is healthy. Eating out can be a real treat. To maximize the enjoyment and nourishment from a special night out at home or while traveling, choose non-chain local restaurants when possible. You’ll have the best chance for real lively food that hasn’t traveled a long distance (and zapped nutritional content). Chain restaurants must assemble food far in advance of it reaching your plate for consistency and delivery of their brand. Preparation methods are often about frying and microwaving prepackaged frozen food that tends to be preservative laden with less than the very best real lively fresh food. A Fresh Wellness Mindset is about learning to love food that loves you back. It isn’t about one way of eating or a diet. It is a road map for a natural healthy life journey everyone can apply to their individuality.